In August, 1982, a small group of radio visionaries at WLIR Long Island knew they couldn’t compete with the mega radio stations in New York City. With one brave decision, they changed the sound of radio forever. Program Director Denis McNamara, the crew at the station and the biggest artists of the era tell the story of how they battled the FCC, the record labels, mega-radio and all the conventional rules to create a musical movement that brought the New Wave to America – including bands like U2, Talking Heads, Depeche Mode and Blondie. Ellen Goldfarb is the Creator, Director and Producer of New Wave: Dare To Be Different. Ellen grew up listening to radio station WLIR, which greatly impacted her life. She has produced and directed many projects including 2 concerts, but this is her first feature film. She studied in New York and took screenwriting classes through UCLA’s extension program. Ellen is a major music buff and grew up listening to radio station WLIR. She experienced the format change in 1982 to “New Music” and was an avid listener and fan of the station. After the format change, like many in the greater New York area, Ellen remembers New Music WLIR becoming a central part of her life. 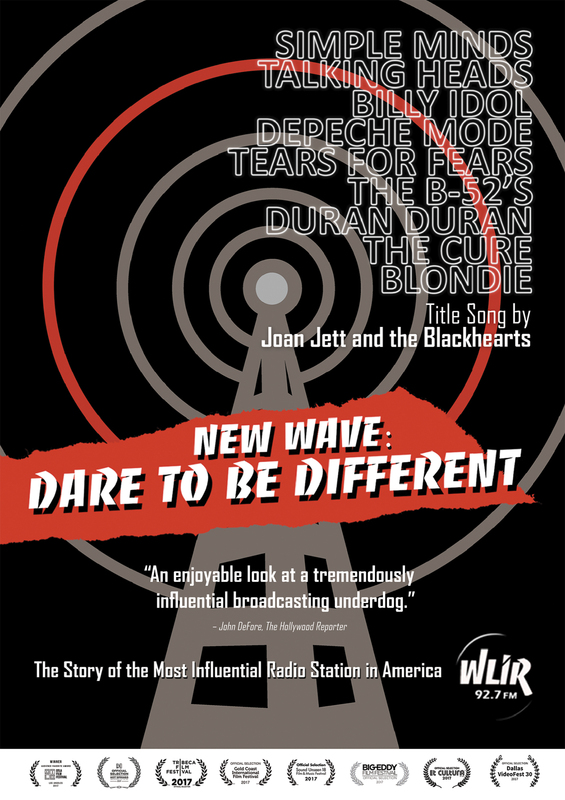 Ellen created Dare To Be Different to document the history and energy of the amazing WLIR at its heyday in the 1980’s when it introduced New York and America to New Music and launched groups like U2, The Police and many others to greatness. He previously worked for the CBS Television Network, overseeing daytime and children’s programming. Before that, Senders spent five years working as a Directors Guild of America apprentice and as a second assistant director. Senders grew up on Mercer Island, a suburb of Seattle. He earned bachelor’s and master’s degrees at the University of Oregon. While there, he worked as an extra in the classic, “National Lampoon’s Animal House,” playing a Delta House pledge. He earned his Juris Doctor degree from the Seattle University School of Law.